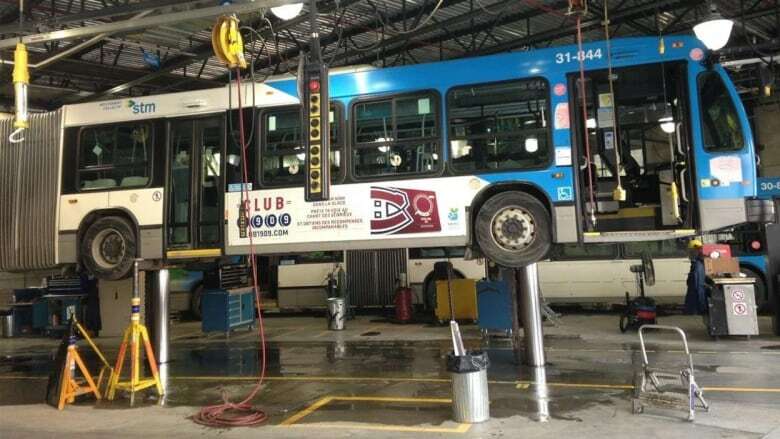 After three years of negotiations, disagreements and protests, maintenance employees of Montreal's public transit agency have agreed to a new a collective agreement. The STM made an offer on Sunday and union members approved the ratification — which expires on Jan. 4, 2025 — in a near unanimous vote of 96.5 per cent in favour. Negotiations began in December 2016 and the STM was asking for more flexibility regarding work schedules. In particular, management wanted to change day positions to evening and weekend positions to facilitate the maintenance of buses during off-peak hours. The STM says the agreement gives it this flexibility, while at the same time reducing overtime. The union reports that the agreement provides for the increase of certain bonuses, a wage catch-up for workers and an annual salary increase of at least two per cent. Bus and Metro drivers approved their own collective agreement by 82 per cent after the previous work agreement expired in early 2018. That deal will also remain in force until 2025.